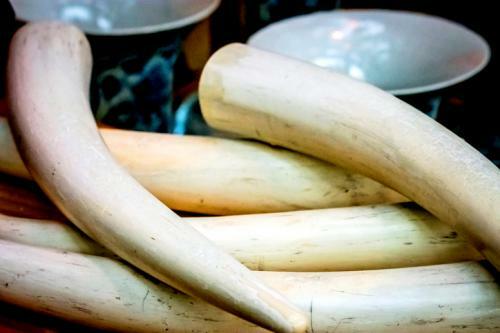 Underlining its stand against illegal poaching, the Ministry of Environment, Forest and Climate Change (MoEFCC) plans to burn confiscated ivory and rhino horn and mark World Wildlife Day on March 3 this year. Other animal parts including tiger and leopard hides, fox and jackal skulls, pangolin scales, chinkara horns, snake skins will also be incinerated in the event to be held at Delhi zoo. Invites will be sent to State Chief Wildlife Wardens (CWWs) to parcel these wildlife products to the capital to support the cause. This decisive step will put an end to hoards of money that can be generated from animal parts when sold in black market. Reports suggest that money is usually misused to fund terrorism, drugs, arms smuggling, and human trafficking. Previously, mass-burning of stashed wildlife products worth Rs 20 lakh was carried out in 2014 by the Delhi Zoo. Stringent laws are in place to check poaching in India. Defaulters can attract a penalty of Rs 25,000 and can be imprisoned for up to seven years. Despite this, poaching is rampant in India. A report issued by the forest ministry claims 1,258 animals fell victims to poaching between 2013 and 2016. A study conducted by researchers from Freeland India and Turtle Survival Alliance claims that an astonishing 58,442 amphibians have been smuggled in the last five years. According to the World Wide Fund for Nature, tens of thousands of elephants every year fall prey to quench human demands. A ban on all domestic ivory products was passed by the International Union for Conservation of Nature (IUCN) in 2016. China happens to be the biggest market for ivory. In 2015, US crushed more than a tone of ivory, sending a strong message against illegal ivory trade. Rhinos are also targeted by poachers in India and South Africa with over 22 rhinos killed last year in Assam. Their body parts are used in traditional medicine in India and China. Scientists from South Africa have devised a tool to trace criminals with just less than 20 milligrams of rhino horn. A database is currently being designed for the Indian Rhinos by the South African experts.